Jennifer Lawrence and Nicholas Hoult rekindling romance? Jennifer Lawrence and Nicholas Hoult are reportedly rekindling their romance. The 27-year-old actress and the former 'Skins' star ended their five-year relationship in 2014, and according to sources, Jennifer - who recently called time on her romance with 49-year-old director Darren Aronofsky - spent "an awful lot of time" with Nicholas whilst she was in the UK last month promoting new movie 'Red Sparrow'. Jennifer Lawrence says Darren Aronofsky played "hard to get" with her for nine months. The 'Hunger Games' star has confessed she thought the 'mother!' director - who she went on to date for two years - was hot when she first laid eyes on him. CLEVELAND, Ohio -- It's awards season. So here's my two cents on some good, bad and ugly films I saw last year. Director Darren Aronofsky wins the dubious distinction of coming up with the worst movie I have ever seen. It's the only one I have awarded an "F" grade. "Mother!" is a cluster truck of epic proportions. A wildly aggressive stinker. CLEVELAND, Ohio – It's awards season again, the time of year when the best films are recognized for their quality and cultural significance. However, at least one awards presenter singles out not the greatest movies of the year, but the most horrendous. Daniel Craig and wife Rachel Weisz are moving to Brooklyn. The James Bond star is thought to be the mystery buyer of a Brooklyn brownstone mansion sold by author Martin Amis for $6.75 million. According to the New York Post, word has spread around the borough that 007 actor Daniel, 49, and wife Rachel, 47 - who has an 11-year-old son Henry from her relationship with director Darren Aronofsky - are to relocate to the area. Jennifer Lawrence has reportedly split from Darren Aronofsky. The 27-year-old actress and her 'Mother!' director boyfriend went their separate ways a month ago, but things are amicable and they remain friends, sources told 'Entertainment Tonight'. Much has already been written about the commercial and critical failure of Darren Aronofsky’s latest project “Mother!” The film received an F rating from CinemaScore, which polls snap responses from audience members as they exit the theaters. Nevertheless, Paramount Pictures, Aronofsky and his star Jennifer Lawrence have been trying to defend this difficult experience, even as it’s been left hanging in the public square. But “Mother!” does have its fervent defenders. Some see it as a rich creation myth, while others enjoy it as a visceral display of blackly comic camp. I can see how these interpretations definitely exist within the material but not necessarily how they redeem it. 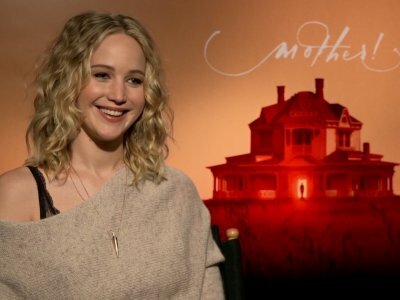 Darren Aronofsky is "excited" that his movie 'Mother!' has divided opinions. The 48-year-old filmmaker has revealed he isn't concerned about his new movie receiving an infamous 'F' rating on CinemaScore - which is the lowest rating available - as he always intended to make a "punk movie" which packs a "total punch". "It" had another amazing weekend at the box office, taking in another $60 million. But it wasn't a great weekend for ALL horror. Critics were confused by . . . and downright hostile to . 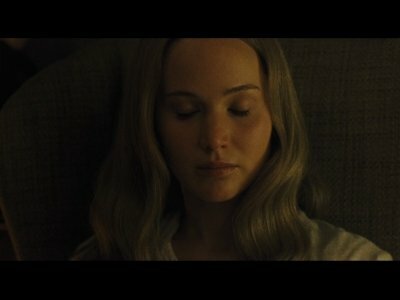 . . Darren Aronofsky's "Mother! ", which probably contributed to its $7.5 million opening take. That was the worst opening weekend for Jennifer Lawrence, by the way. Here's the Top 10 . . .
1. "It" - $60 million. Up to $218.7 million in its 2nd week. NEW YORK (AP) — The horror hit "It" topped the North American box office for the second straight week with $60.1 million, bringing its two-week domestic total to $218.8 million, according to final box-office figures Monday. The Warner Bros. release has quickly become the biggest box-office smash to ever land in September, a typically sleepy month before the fall movie season really kicks into gear. NEW YORK (AP) — The Stephen King adaption "It" continues to scare up record ticket sales, taking in an estimated $60 million in its second week and leaving a paltry $7.5 million for Darren Aronofsky's audacious genre-bending psychological thriller "mother!" It will help you understand why he believes the exclamation point is necessary and why he felt it was necessary to make an art-house film that’s an allegory for what he sees as a dying world. A film-festival preview, zombies, "E.T." and boxing are on the menu for specialty events on Tulsa-area movie screens this week. "Mother! ": This psychodrama from filmmaker Darren Aronofsky ("Black Swan") stars Jennifer Lawrence and Javier Bardem as a troubled couple. "The Wedding Plan": This romantic comedy about a jilted bride who refuses to cancel her wedding plays as a preview film ahead of October's Oklahoma Jewish Film Festival at the Circle. NEW YORK (AP) — Jeannie Gaffigan — wife and writing partner of standup comic Jim Gaffigan — made her first public appearance since having surgery to remove a serious brain tumor. She was with her husband at Radio City Music Hall in New York for the premiere of Darren Aronofsky's thriller "mother!" Gaffigan said it was cool to be out, adding that she's doing well — but not yet at 100 percent. Jennifer Lawrence turned to the Kardashians to maintain her sanity during the making of 'Mother!'. The 27-year-old actress stars in the new horror film - which is directed by her boyfriend Darren Aronofsky - and has admitted the gloomy nature of the movie caused her to turn to 'Keeping Up with the Kardashians'. During an appearance on 'The Tonight Show Starring Jimmy Fallon', Jennifer revealed: "I got to such a low point in the film emotionally that eventually I had to bring the Kardashians in. Jennifer Lawrence's desire to become a mother dissolves the older she gets. The 'Mother!' star - who is dating the psychological thriller's director Darren Aronofsky - has admitted having a family is no longer the top of her list and she's actually concerned about how much she's accepted the possibility she might not have a baby. Women give, men take and the Old Testament crashes into modern anxiety in director Darren Aronofsky's "mother! " It is an audacious, bold and fascinating fever dream of a film. It's allegory for, well, everything (the environment, marriage, art, spirituality, you name it! ), that will challenge, distress and edify anyone who chooses to submit themselves to this creation for two hours. Jennifer Lawrence "popped a rib" during filming for 'mother!'. The 27-year-old actress - who plays Veronica in the Darren Aronofsky directed thriller movie - hurt her rib as well as "tore" her diaphragm whilst filming for the role. Jennifer Lawrence thinks her boyfriend Darren Aronofsky is "brilliant". The 27-year-old actress is currently in a relationship with the filmmaker, and after working together on the set of their new movie 'Mother! ', Jennifer thinks Darren's directing skills have an "artistic uniqueness" to them. Asked what makes the 48-year-old filmmaker so great, Jennifer said: "I mean, his point of view, his artistic uniqueness. He's just brilliant. Incredibly instinctual." Darren Aronofsky admits his "ego" is in all of his films. The 48-year-old filmmaker's new movie is the psychological horror 'mother! ', which stars Jennifer Lawrence and Javier Bardem. Aronofsky has admitted every film he has done is a "projection" of his life. Speaking to The Guardian newspaper, the filmmaker said: "It's my projection of my life and what I'm thinking about. VENICE, Italy — There were more boos than cheers for Jennifer Lawrence and Darren Aronofsky’s “Mother!” which had its world premiere Tuesday at the Venice Film Festival. In this intense allegory set in an isolated house, Lawrence plays a meek wife, essentially a handmaid, to Javier Bardem’s frustrated poet. “Mother!” is seen entirely from the wife’s agitated perspective. VENICE, Italy (AP) — Director Darren Aronofsky says his film "mother!" — a delirious nightmare starring Jennifer Lawrence — is a "roller-coaster ride." Fittingly, it thrilled some viewers at the Venice Film Festival, and left others a bit queasy. A horror story that travels from menace to mind-bending mayhem, the movie was greeted with a mix of applause and boos from journalists Tuesday at the Italian festival, where it's one of 21 movies competing for the Golden Lion prize. Darren Aronofsky made Jennifer Lawrence plaster walls for three months before filming 'Mother!'. The 27-year-old actress stars in her director boyfriend's latest movie - in which she plays a pregnant woman married to Javier Bardem's successful novelist character - and had to hone her DIY skills as part of her preparations, and so the crew brought in a number of unfinished walls to their huge rehearsal building. VENICE, Italy (AP) — The Venice Film Festival is kicking off the fall cinema season with searing drama, serious glamour and a crop of new movies vying for attention, awards and acclaim. NEW YORK (AP) — Jennifer Lawrence has opened up about her relationship with director Darren Aronofsky. Aronofsky directed Lawrence in "mother!" which was shot last year and comes to theaters next month. Lawrence tells Vogue magazine she and Aronofsky began dating after filming wrapped up. She says she likes Aronofsky's directness, saying she's "never confused with him." Jennifer Lawrence's relationship with Darren Aronofsky is getting "serious". The Academy Award-winning actress and the acclaimed director have been dating since 2016 and their relationship has become stronger and more meaningful over time. A source explained: "Things are getting serious with them. They are so in love with each other." Jennifer, 26, and Darren, 48, both love to laugh and their shared sense of humor is said to be the foundation of their relationship. ROME (AP) — This year's Venice Film Festival will include a crime comedy by George Clooney, a Guillermo del Toro fantasy and a Darren Aronofsky thriller. Organizers of the world's oldest film festival announced a 21-film competition lineup Thursday that features the Clooney-directed "Suburbicon," the story of a home invasion gone wrong that stars Matt Damon and Julianne Moore, with a script by Joel and Ethan Coen. LOS ANGELES (AP) — George Clooney's crime comedy "Suburbicon," Angelina Jolie's Khmer Rouge drama "First They Killed My Father," and Darren Aronofsky's horror feature "mother!" starring Jennifer Lawrence are among the films that will be playing at the Toronto International Film Festival this year. Festival programmers Piers Handling and Cameron Bailey unveiled the initial 47 film lineup Tuesday. Jennifer Lawrence took her puppy along with her on a date with Darren Aronofsky. The Academy Award-winning actress - who has been seeing the Hollywood director since September last year - brought her dog Pippi with her to Nobu in Malibu, California, on Saturday night (06.24.17). An insider told PEOPLE: "They seemed great. She was laughing a lot."